Help! Has your Christmas tree started to bud and grow? Help! Has your Christmas tree started to bud and grow? If it has, that can’t be a good sign, right? If you see new buds and new pine cones, it’s telling you that your tree is thriving. 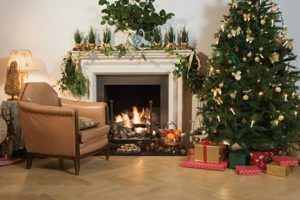 Here is what you can do if you notice your Christmas tree exhibiting some unexpected new growth. Trees, even Christmas trees, need a place for their roots to set down in order to grow. If you thought this was the case, then you’d be right. You might also think it’s just Christmas magic, but it’s not magic, it’s science. Trees need to experience some cold so they can remember to start growing again once it is warm outside. So the Christmas tree that was left outside for long enough is only sleeping. The warmth inside your home might tell it to wake up and start growing again. Does This Mean I Can Replant It? Sadly, you won’t be able to replant the Christmas tree itself. The tree needs roots so it can sustain itself. Even so, you can clip a branch from the tree and hold onto it. That branch can turn into a new tree instead. How Do I Replant It? Grab a fresh branch from your tree, no more than a few days old. More than one branch will be better, in case the branch you choose doesn’t take root. Get rid of any needles you see. Keep the pot away from sunlight. This entry was posted on Friday, December 22nd, 2017 at 5:46 pm. Both comments and pings are currently closed.